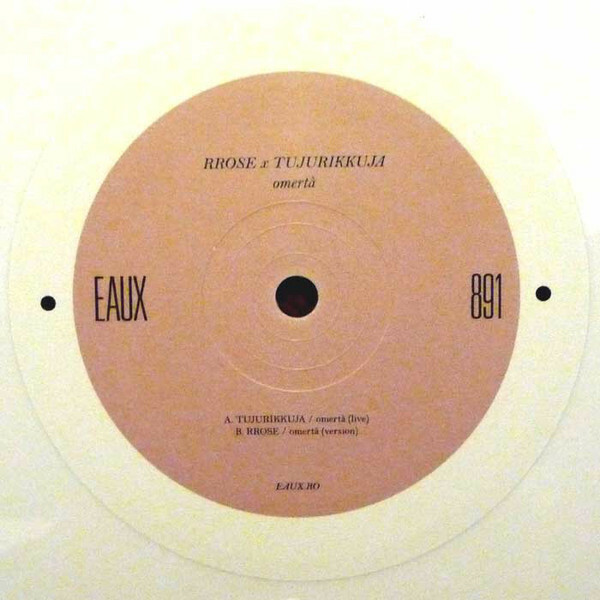 The arrival of a new release on Eaux sees Rrose break with tradition, seeking out the self-quipped “ambient nihilism” of Tujurikkuja, aka California duo Kit Clayton and Chris Dixon. Separately both artists have rich histories in the West Coast underground to dig through (fun fact: Clayton worked with Juan Mendez on the late ’90s Cytrax label) but their joint output as Tujurikkuja is restricted to a pair of releases on San Francisco label Computer Music. Omerta sees Clayton and Dixon turn in a titular analogue improvisation that fans of extended abstract electronic pioneers like Dilloway will delight in. It’s been pressed at 45rpm but Eaux recommend listeners approach at 33rpm! Rrose offers a version on the flip that is more appropriate for dancefloor deployment.